Carol Krucoff, C-IAYT, E-RYT, is a yoga therapist, fitness expert and award-winning journalist. She offers private sessions, classes, and workshops at Duke Integrative Medicine in Durham, North Carolina, and specializes in therapeutic applications of yoga for people with health challenges. 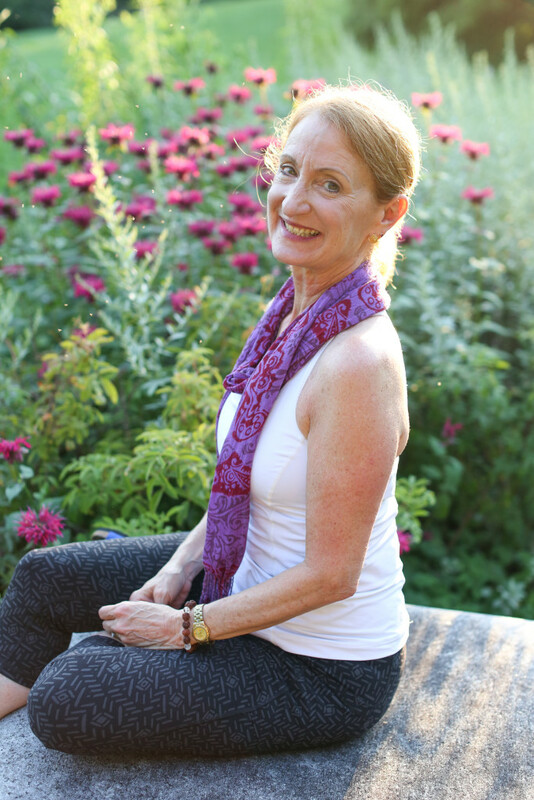 She is co-director of the Integrative Yoga for Seniors teacher training, offered at Duke Integrative Medicine and the Kripalu Center for Yoga and Health, designed to help yoga instructors safely adapt the practice to older bodies, minds and spirit. A frequent contributor to Yoga Journal, Carol served as founding editor of the Health Section of The Washington Post, where her syndicated column, Bodyworks, appeared for twelve years. She has written for numerous national publications, including The New York Times, Reader’s Digest and The Huffington Post. Carol is certified as a yoga therapist by the International Association of Yoga Therapists and is an experienced, registered yoga teacher with the Yoga Alliance at their highest level (E-RYT 500). She also serves on the peer review board for the International Journal of Yoga Therapy. In addition to practicing yoga for more than 40 years, Carol spent a decade studying martial arts. As a second-degree black belt in karate and Sensei, she taught martial arts for four years. Widely quoted in periodicals such as The Wall Street Journal and on programs such as NPR’s Talk of the Nation and The People’s Pharmacy, Carol presents talks and workshops designed to help people of all ages, sizes and abilities bring healing movement into their lives. She has been an invited speaker for numerous groups including the American College of Sports Medicine, the SAS Institute and the National Institute for the Clinical Application of Behavorial Medicine. Carol’s passion for “movement as medicine” is rooted in a deep personal commitment to the healing power of physical activity. She started running in 1980 after interviewing best-selling author Jim Fixx, has lifted weights with Arnold Schwartzenegger, done aerobics at Jane Fonda’s Workout in California and spent her early years training in dance. Throughout these challenges, Carol found her yoga practice essential in her recovery to full health. Carol is the mother of two grown children, Max and Rae, and has been married to Mitchell Krucoff, MD, since 1974.